A few days ago, my oldest son told me Jackie Chan was dead. Naturally, my immediate reaction was great sadness and a feeling of immense loss. 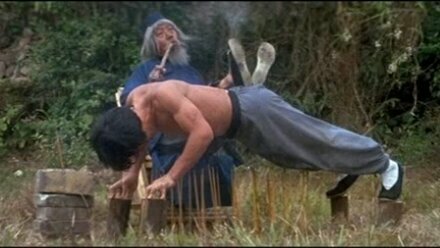 Like most other red-blooded males, I love kung-fu flicks and often annoy my significant other with them. I also love Jackie Chan as an actor, director, and person. That’s besides the point, though.. Jackie Chan’s death would be the worst celebrity loss since Michael Jackson, in my opinion. Being a bit of a Jackie Chan fan boy, I could not simply accept this news at face value. A quick Google search for “Jackie Chan death” revealed that it was yet another Internet hoax. I was relieved and annoyed at the same time. Are people so devoid of original ideas that their content must be limited to mere pandering and silly hoaxes/stunts? That’s a rhetorical question, BTW. This is not by any means the only or last Jackie Chan Internet death hoax. It seems anyone who wants site traffic or attention simply panders by writing about celebrity gossip, famous deaths, and silly pop culture. 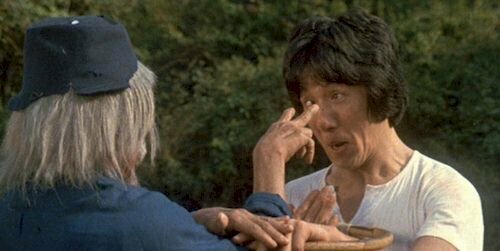 Some may consider Jackie Chan’s sense of humor or comedy style rather corny or over-simplified.. But he is still far more entertaining than most online content today. Truth. Sadly, there is more to this story. Part of the issues here is that social media and SEO will always be abused. That means there is a lot of junk and lies spreading around! I blame laziness mainly. Ask any successful person how they consistently get great results and they will likely tell you it takes combination of focus, passion, and persistence, above all. Many of us are tired of hearing that. What does that really mean, anyway? Ultimately, this boils down to setting goals and what better way is there to do that than using to-do lists, right? Chances are you may feel to-do lists are pointless or they haven’t worked for you. Why do some use to-do lists to great success and others do not? What are the wealthy and truly successful doing differently that we may not be? Stash your lists where they will be misplaced or ignored – your list will not magically complete itself! Fill your to-do lists with mundane stuff you are likely going to do anyway (i.e. watching television, taking a shower, shaving, etc.) 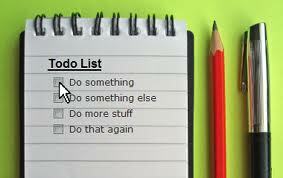 – to-do lists are best suited for things you may forget. Place your lists where the kids or pets may eat them, spill stuff on them, or write all over them (hey, you know the coffee mishap is going to happen again so why not avert disaster). Make your goals lofty with deadlines too far away – what can you get done today? Keep moving items off your to-do list so you can do them tomorrow or “when you get around to it” (be honest with yourself: if not now/today, it may not ever get done). Don’t stick to the list or bother to get others around you to use them too; instead, stick to firefighting and “going with the flow”, which inevitably leads to chaos – YAY! If your to-do list isn’t specific enough, you’re doing it wrong. Thomas C. Corley, author of Rich Habits and a slew of books on retirement and financial planning, makes note of the vast difference between the poor and the wealthy. He defines wealthy as making at least $160K a year with over 3.2 million dollars in holdings/assets while . Tom then goes on to define poor as earning under $30K a year with 5 thousand dollars or less in assets (of course, this may be extreme if you live in an area with a very low cost of living). The stark contrast comes down to the simple daily disciplines or rich habits. It’s really a matter of mastering the mundane! So let’s start with the simplest of things: using a to-do list. I’m a big fan of to-do lists and often push for friends, family, and clients alike to use them (though some fight against it because it’s “not their style” – honey, I hope you are reading this LOL). These tools keep us self-accountable and create the urgency to get stuff done.. But often they fail or create more of a distraction if you don’t do it right.